The title of this psalm is To the Chief Musician. Set to “Do Not Destroy.” A Michtam of David when Saul sent men, and they watched the house in order to kill him. This refers to the incident in 1 Samuel 19:11-12, which was when the murderous intent of King Saul against David was openly revealed, and David began his long season of living as a fugitive. A. David describes the bloodthirsty assassins. 1. (1-2) A prayer for deliverance and defense. a. Deliver me from my enemies, O my God: Many were David’s perils, many were his enemies, and many were the psalms that begin with this thought. We think it strange that the man after God’s heart, Israel’s greatest earthly king, had so many enemies. The idea is less strange when we think of how many enemies the Son of David had. i. David cried out, O my God, meaning it in the most reverent way. Through this psalm David declared his close and personal connection with God. · My God (Psalm 59:1). · My Defense (Psalm 59:9, 17). · My God of mercy (Psalm 59:10, 17). · My Strength (Psalm 59:9, 17). ii. We wish that those who thoughtlessly exclaim O my God today would change and do so with the heart and sense of personal trust that David had. b. Defend me: The sense of this ancient Hebrew word is to lift up, as into a safe and defended place. It says, “Lift me up to Your high tower where I am even higher above those who rise up against me.” This idea is repeated three more times in the psalm (59:9, 16, 17). c. Save me from bloodthirsty men: David was the target of a focused assassination plot that came from the highest levels of Israel’s government. Many felt they could advance their favor before King Saul by shedding David’s blood. Knowing the danger, David looked to God for rescue and defense. 2. (3-5) Describing the need. a. For look, they lie in wait for my life: The circumstances of 1 Samuel 19:11-12 must have amazed David. Assassins came against his own home, hoping to surprise him in the routines of daily life. David saw the mighty gather against him and looked to God for help. b. Not for my transgression nor for my sin, O LORD: David didn’t make a claim to sinless perfection. He simply understood and said to God that there was no justified reason at all for Saul to send the bloodthirsty assassins against him. c. Awake to help me, and behold: David feared he would die if God were asleep to his need. He asked God to be active for him and to look (behold) upon his crisis. d. O LORD God of hosts, the God of Israel: David appealed to God with a variety of His names and titles. · He was Yahweh, the covenant God of Israel (LORD). · He was Elohim Sabaoth, the commander of heavenly armies (God of hosts). · He was Elohi Israel, the God of His chosen people (God of Israel). e. Awake to punish all the nations: The hope of God setting things right in David’s cause made the psalmist think of God setting things right on a global scale. David looked to the God of angelic armies (LORD God of hosts) to judge the nations and all wicked transgressors. 3. (6-7) The proud arrogance of David’s enemies. a. At evening they return, they growl like a dog: The men sent to watch David’s house and kill him were determined. They didn’t give up quickly and they growled like dangerous dogs, going all around the city to find and murder David. b. They belch with their mouth; swords are in their lips: Perhaps David actually saw and heard such a belch as he watched those who watched him. He heard their sharp words against him, and their disregard for God or David or any authority (Who hears?). B. God’s response to the bloodthirsty men. 1. (8-10) David’s strong confidence in God. a. But You, O LORD, shall laugh at them: David’s danger from the assassins was real and fearful. Yet he understood that they were nothing against God. The LORD could simply laugh at them and their arrogant claim that God did not hear or care about their evil. b. You shall have all the nations in derision: David saw God’s laugh against the men who waited outside his house to kill him in connection with God’s triumph over all the nations. All who opposed God would be held in derision. c. God is my defense: The word defense has the idea of a high tower or fortress. David believed that God was like a strong, high tower for him. It seemed impossible for David to survive against such a powerful conspiracy against him, but God would be his defense, his high tower. d. My God of mercy shall come to meet me: David didn’t only believe that the LORD was the God of mercy in a distant, theoretical sense. He could confidently say, My God of mercy. He knew that God would be merciful to him and that God would meet him, even lead him, in his need. ii. Meyer considered that Psalm 59:9-10 uses three titles for God that are precious for the troubled believer: my God of mercy, my defense [high tower], and strength. 2. 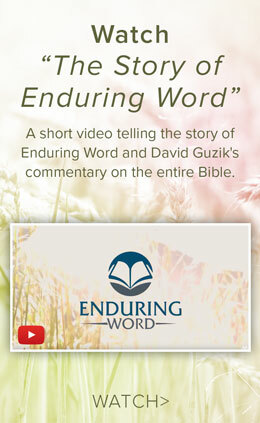 (11-13) David asks that his enemies be defeated to bring God glory. a. Do not slay them, lest my people forget; scatter them: David didn’t only want the defeat of his enemies. He wanted them defeated in a way that would do the most good for God’s people. If those enemies were kept alive but scattered, the lesson would last longer. i. Lest my people forget reminds us that whenever David prayed for the destruction of his enemies (and sometimes he prayed quite severely), he had in mind not only his personal deliverance but also what the display of Divine justice would teach God’s people. b. For the sin of their mouth and the words of their lips, let them even be taken in their pride: David seemed especially offended at the proud words he overheard from the men who hoped to ambush him. With cursing and lying they boasted of David’s death and their own advancement through it. c. Consume them in wrath, consume them, that they may not be: Just a few lines before David prayed that God would not slay them; now he repeated the prayer consume them twice for emphasis. There is no contradiction; we see that such prayers simply expressed David’s desire that God “get them,” and he didn’t care much about how God got them. d. Let them know that God rules in Jacob to the ends of the earth: What David did care about was God’s honor and glory. David prayed that the way God dealt with these bloodthirsty assassins would tell the ends of the earth something about God’s righteous rule in the world. i. Let them know that God rules in Jacob to the ends of the earth: These words are very similar to what David said to Goliath in 1 Samuel 17:46, an event that happened not very long before Saul sent the assassins after David. He discerned that these enemies acted very Goliath-like. 3. (14-15) The abiding danger. a. At evening they return, and growl like a dog: The line from Psalm 59:6 is repeated for emphasis. We sense David peeking through a window at the assassins surrounding his house and seeing them for the pack of dangerous dogs that they are. b. 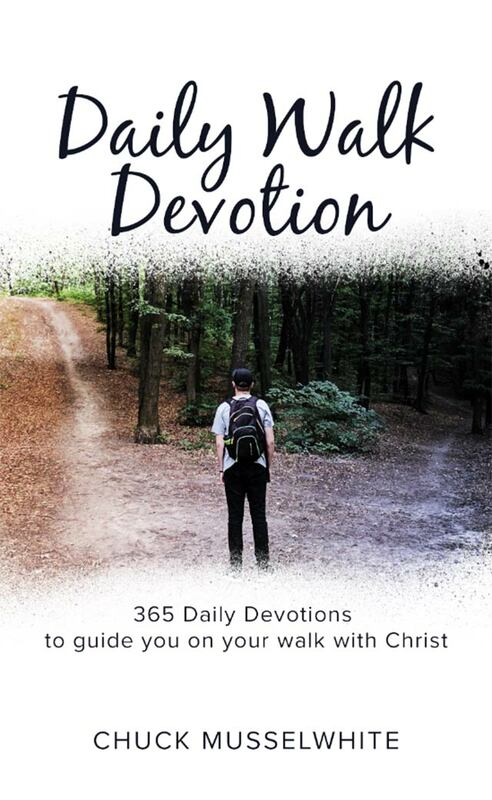 They wander up and down for food, and howl if they are not satisfied: As David watched them, he noticed them wander the streets around his house the way hungry dogs hunt for food. 4. (16-17) Singing praise despite the danger. a. But I will sing of Your power: The murdering dogs howl in the street, but David will sing of God’s power and mercy. They wait for him in the evening, but David was confident that with God as his defense and refuge, he would survive until morning and survive singing. b. To You, O my Strength, I will sing praises: Though a conspiracy to kill him still existed in the highest places of the kingdom, David’s heart was filled with songs of praise instead of dark fears. He started the psalm asking God for His defense (Psalm 59:1); at the end of the psalm he was so confident that God is my defense that he could sing about it. ii. When King Saul sent assassins to David’s house, he openly revealed his desire to kill David. From then on, for the next many years (perhaps 10 to 15 years), David had to live as a fugitive, constantly in danger of his life. It’s interesting to notice that David entered that period singing praises and was still able to pour out his heart to God in song at the end of that period (2 Samuel 1:17-27).